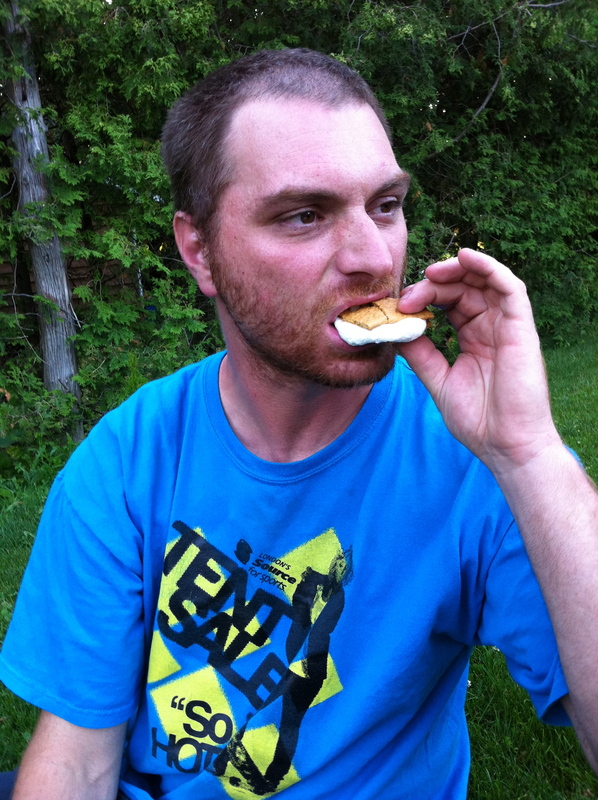 Marshmallows have never been a favourite snack of mine, but s’mores on the other hand are something that I have always enjoyed. They bring back memories from my childhood and even in to my teen years. You really can’t have a campfire without s’mores and spider dogs in my opinion! A few days ago, we decided to have an evening campfire. 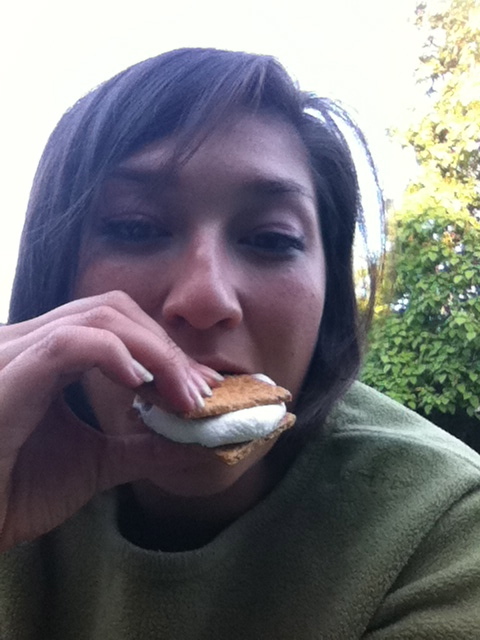 It was our first of the summer, so I got out the graham crackers, marshmallows and chocolate, within minutes we were eating our campfire favourite and having a blast! As you can see from the pictures, it wasn’t even dark yet, but the fire was nice and hot and perfect for marshmallow roasting! I have also come across some gourmet recipes, so I thought I would post them here! ENJOY! I would say that spending time with family on the Shores of Lake Huron is the best summer beach vacation ever. Plus you can always have a great campfire! 1 Place the mints on the bottom brownie or graham cracker square and melt slightly. 2 When melted place a roasted marshmallow on top. 3 Top with another brownie square. Spread 1 tablespoon peanut butter (at room temperature, for easy spreading) onto a thin, crisp chocolate water (such as Nabisco Famous Chocolate Waters). Slide 1 skewer-toasted marshmallow onto peanut butter. Top with a second wafer and squish down gently. Eat, licking fingers.